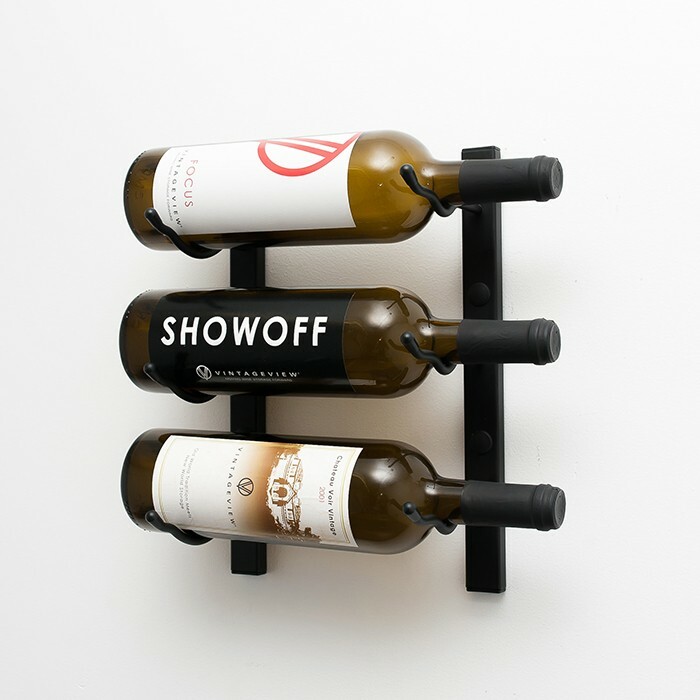 The Wall Series is the original and best label-forward metal wine rack trusted by interior design and building professionals. 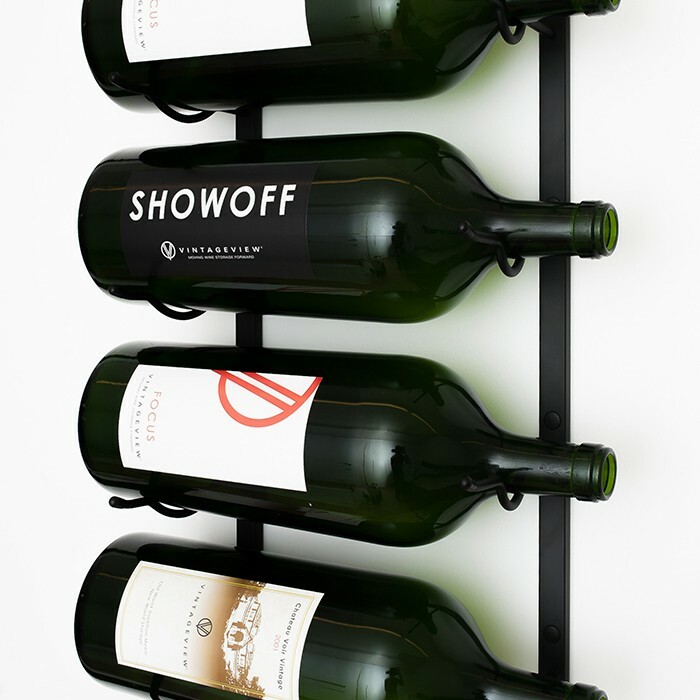 This ground-breaking and patented wine rack started the modern wine storage movement with a contemporary style unknown to the industry prior. 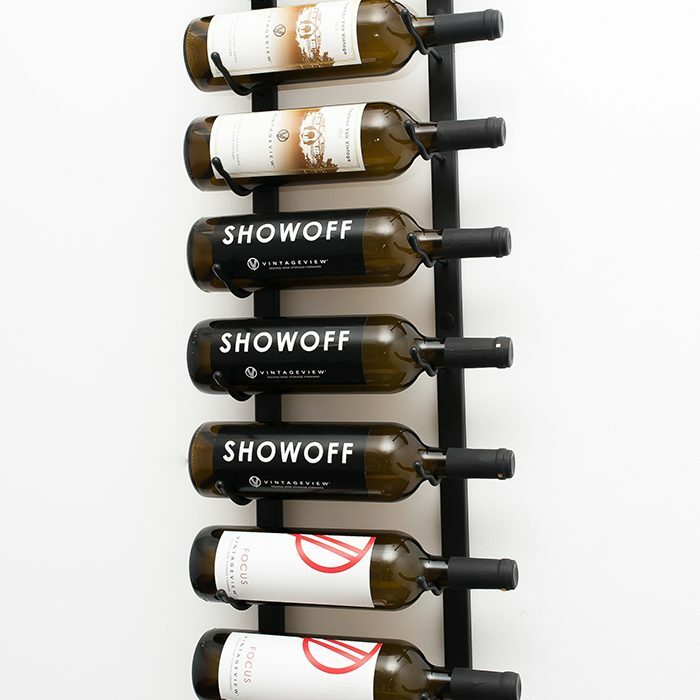 Perfect for any size room — residential or commercial. 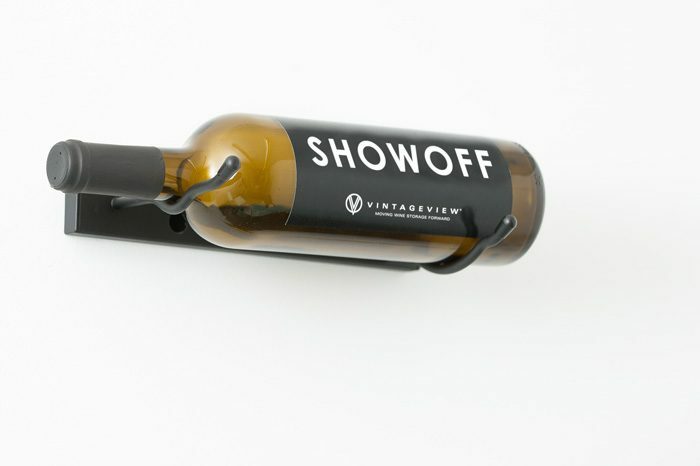 View cart “Bottle Retention Straps” has been added to your cart. 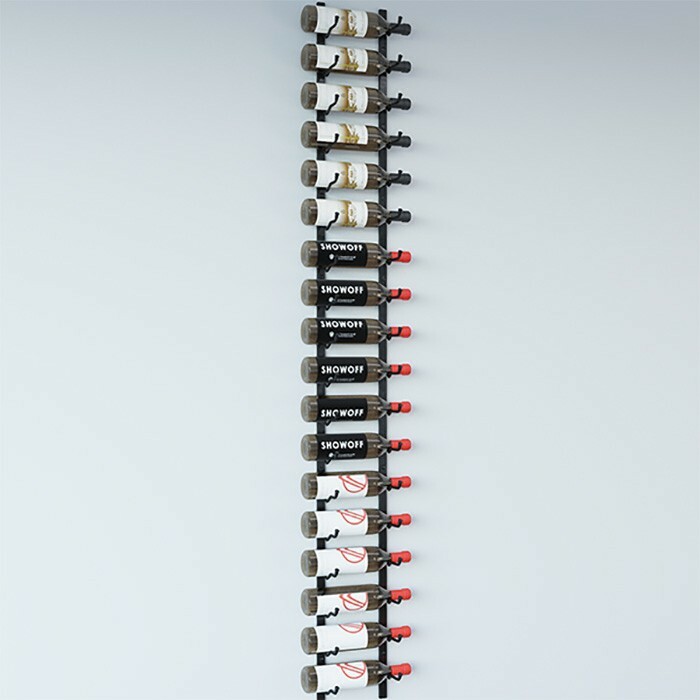 Perfect for any small-space need, this contemporary steel wall-mounted rack holds 3 to 9 bottles and can be stacked to reach any collection capacity need. 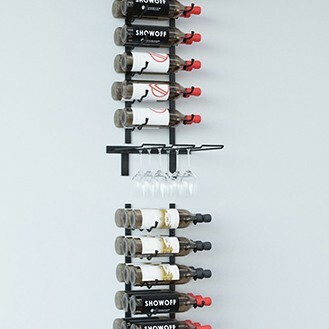 The perfect intersection of size and storage, the Wall Series 3 metal rack showcases 9 or more label-forward bottles. 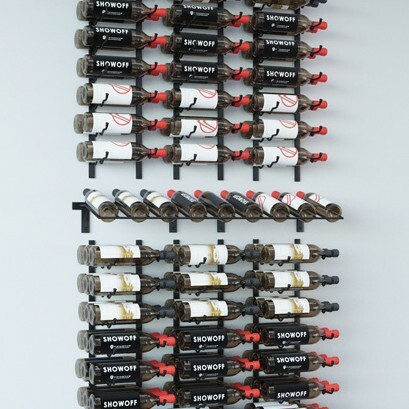 For a case of wine or more, the largest Wall Series wine rack maximizes storage capacity with a contemporary, label-forward flair. 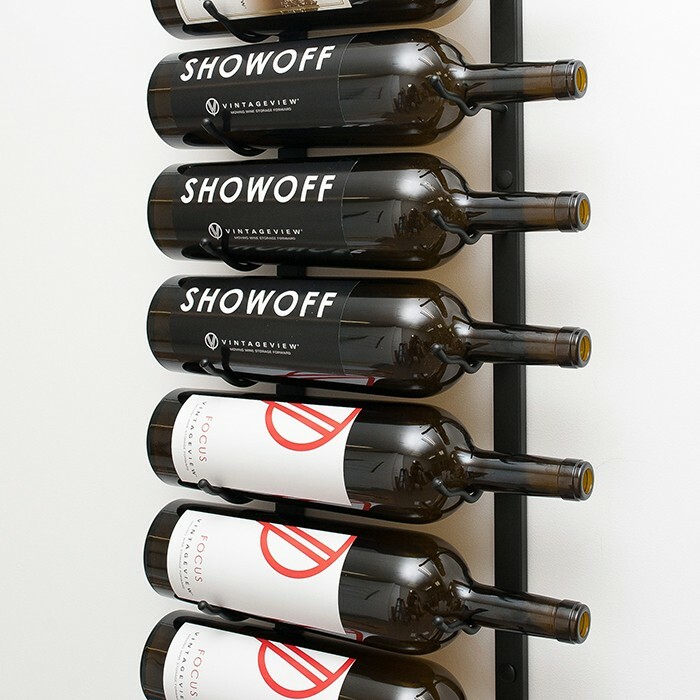 Show off your magnums or delicious bottles of Champagne in modern, label-forward style. 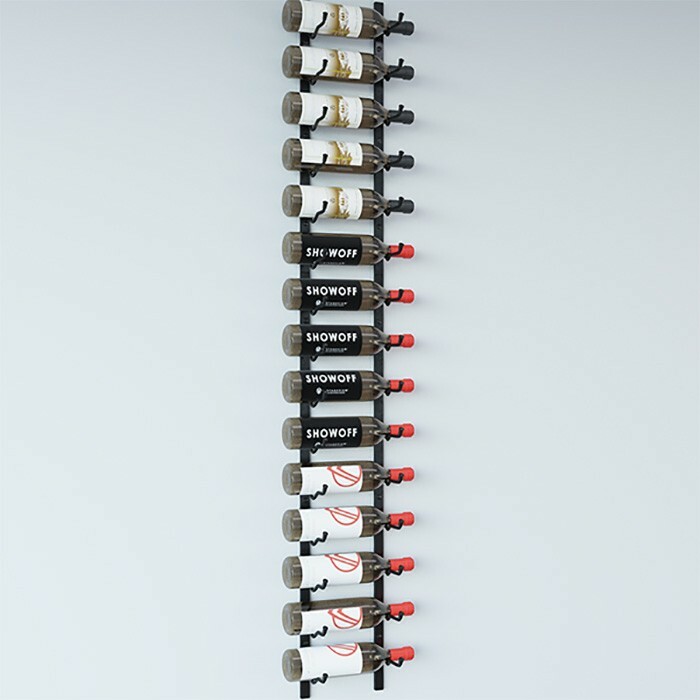 Available in 9- (single deep) or 18- (double deep) bottle options. 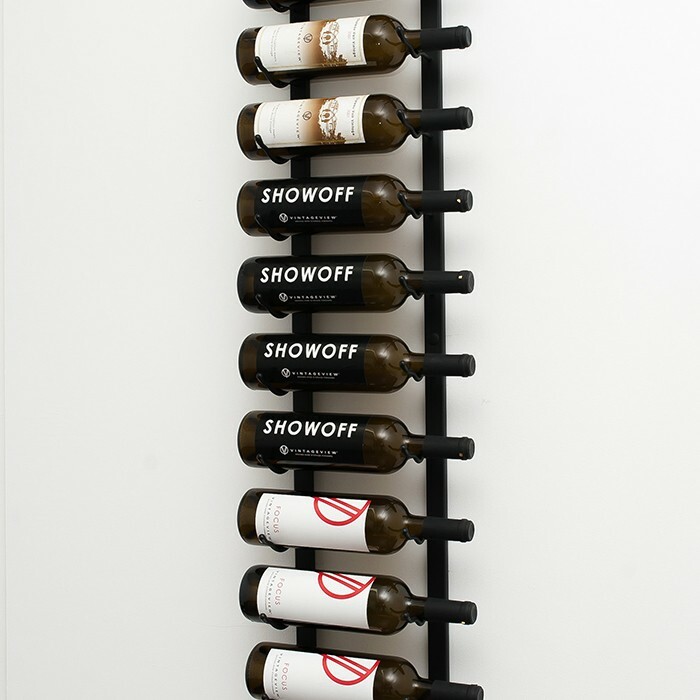 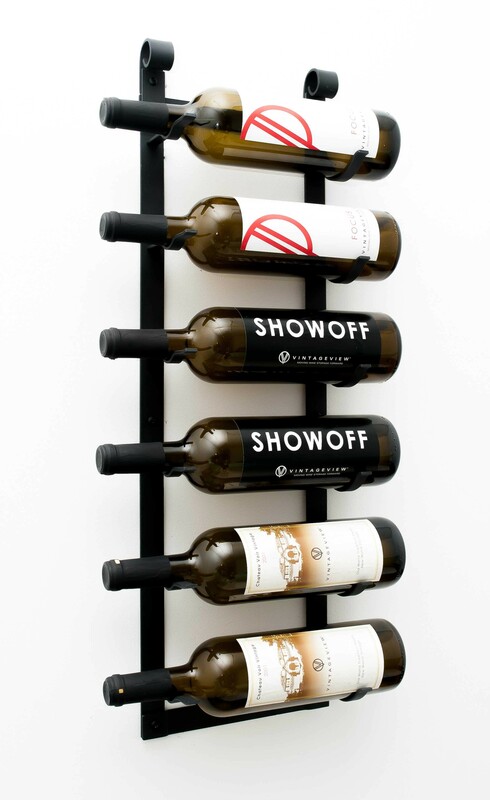 A complimentary 3- or 9-bottle steel wine display to enhance the design of any Wall Series wine wall, cellar or room. 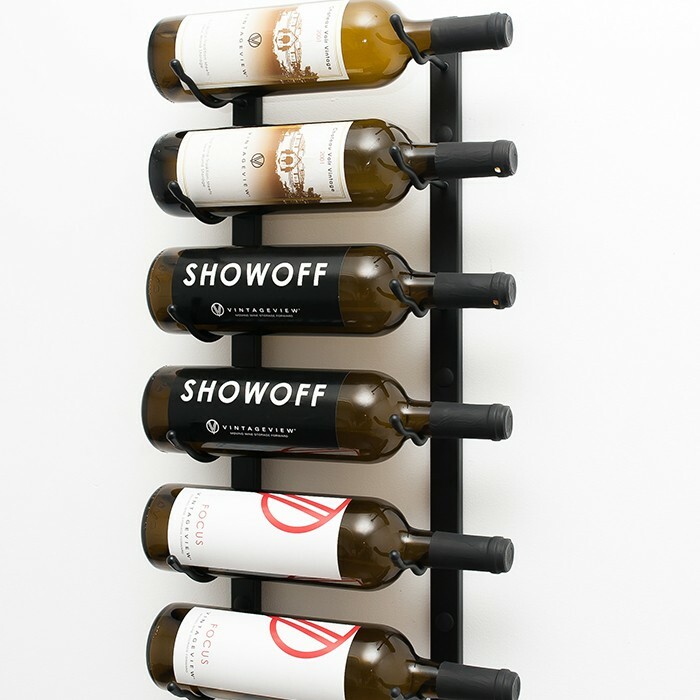 Our rugged bottle retention straps are ideal for Wall Series racks installed in high-traffic or earthquake prone areas. 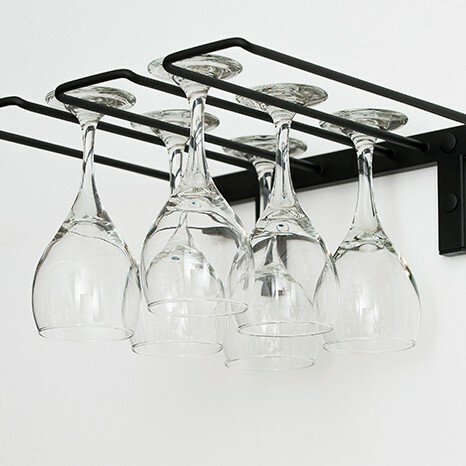 The rugged metal embellishment that serves as a decorative top to this rack harkens back to a simpler time while still offering our contemporary, label-forward design. 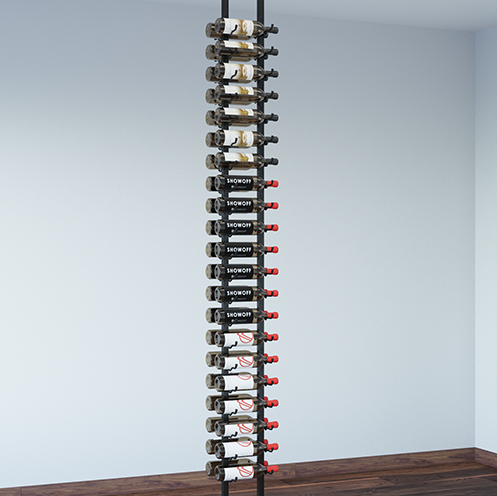 The Glass and Bottle Wine Rack kit combines two of our most popular sized Wall Series metal wine racks with a stemware rack, designing a beautiful column of storage for your bottles and wine glasses. 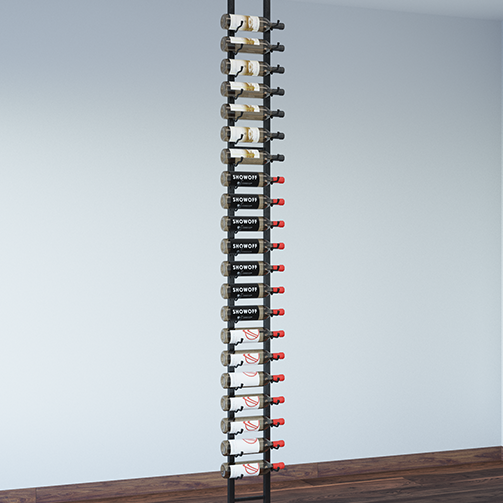 The Presentation Row Wine Wall Kit combines two of our most popular sized Wall Series metal wine racks with a presentation row, creating a three-column wide wall of wine. 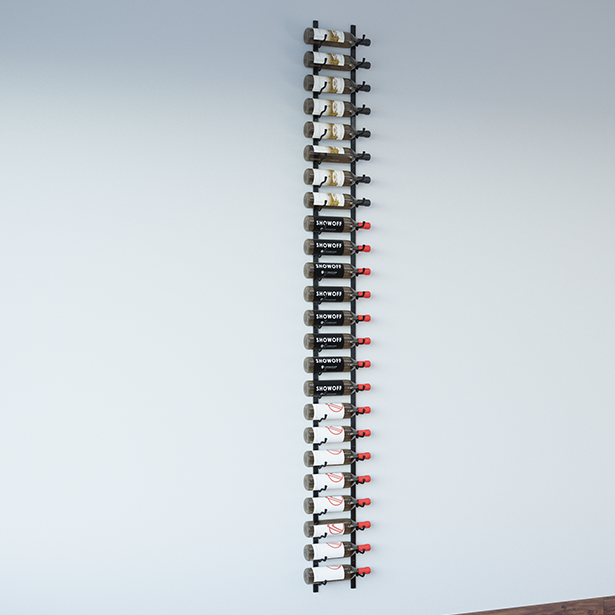 A compact 6-feet in height, this Wall Series kit combines two of our most popular heights to meet your storage needs. 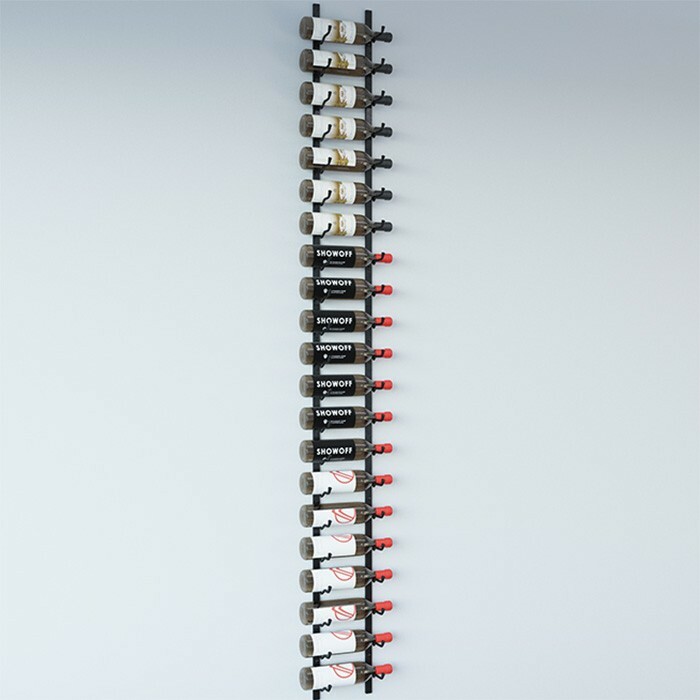 Stretching 7 feet on a wall, this Wall Series kit combines two of our most popular heights to meet your design needs. 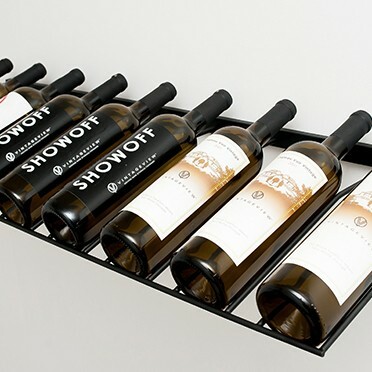 Holding two cases of wine, the 8-foot Wall Series Kit combines two racks to maximize storage capacity on any wall.